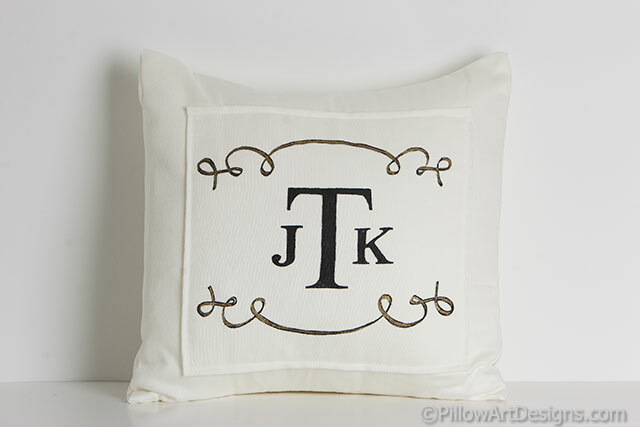 Custom hand painted monogram pillow on chalk white thick prewashed cotton poly in your choice of font and paint colour. Sample shown in block letters, upper and lower scrolling detail with gold metallic highlights. I will accommodate small changes in design if you prefer. 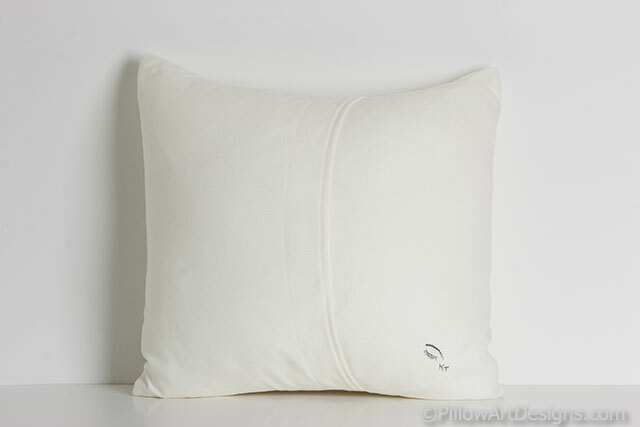 This pillow makes a wonderful gift for wedding, house warming, anniversary and several other occasions. 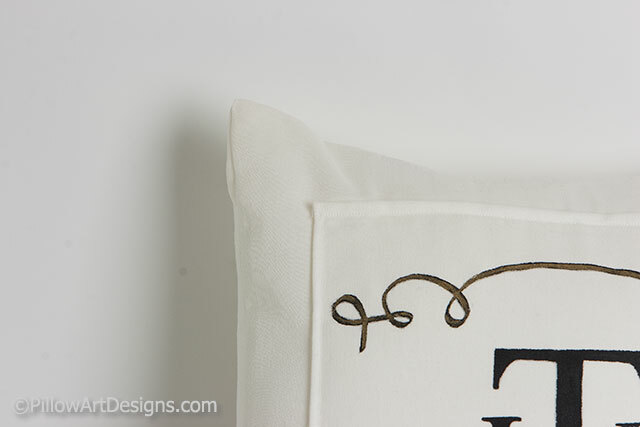 These pillows also work well as part of wedding decor theme. 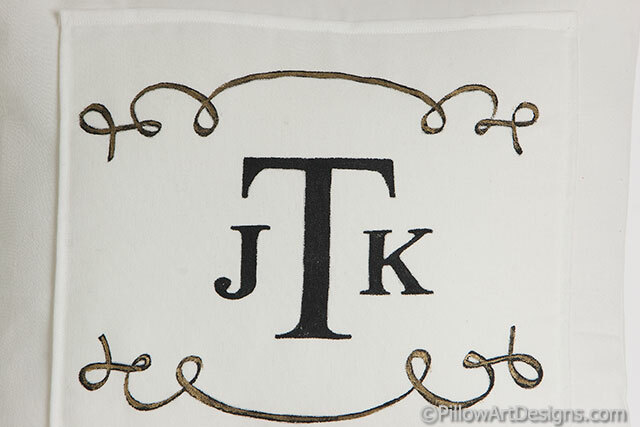 Contact me here at the site with your request and we will work together to create your custom accent pillow.